Gallery quality fine art colorful Giclée print on natural white, matte, ultra smooth, 100% cotton rag, acid and lignin free archival paper using Epson K3 archival inks. Custom trimmed with 1" border for framing. MADE TO ORDER: Takes 1-2 weeks to produce prior to shipping. 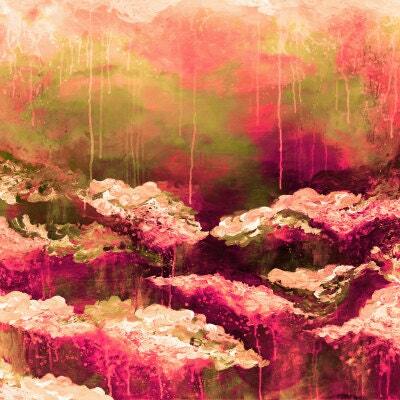 This image is based on the original abstract watercolor painting created by Ebi Emporium. Ebi Emporium holds all rights and copyright to this image and its parts.